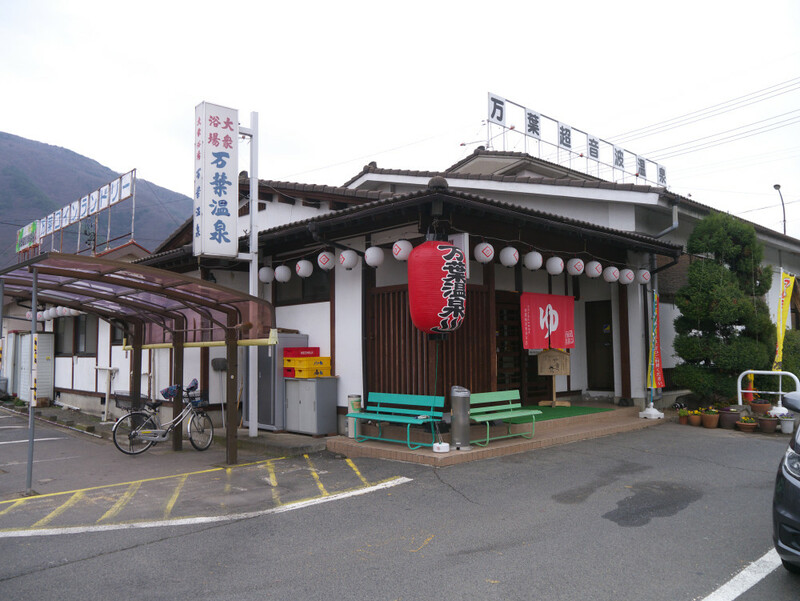 Welcome to Manyo Cho-Onpa Onsen. The English translation is Manyo Supersonic Hot Spring, in reference to the wave action of the onsen water. This bath house opens up at the ungodly hour of 4am. It’s got a coin laundry and a little cafeteria next to it. It’s also got this footbath in the parking lot. So if you’ve been following this audio tour and your feet are starting to ache, this is a great opportunity to soak them in the onsen foot bath here.